In the past, a host team local to the destination venue has planned the AORE Annual Conference. 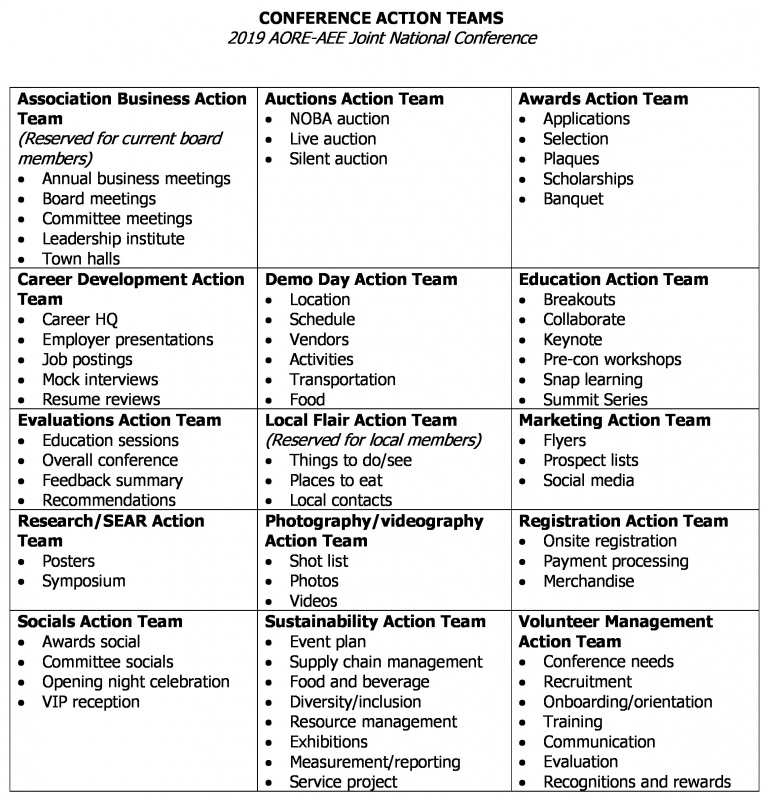 With AORE’s new partnership with AEE for 2019, a planning team comprised of volunteers living and working throughout the United States will now plan, in part, this event. This opens the door to each and every AORE and AEE member who is interested in the planning and implementation of the largest and most visible program of our respective associations. To volunteer to help with planning of the 2019 AORE-AEE Joint National Conference, please sign up below or by clicking here.